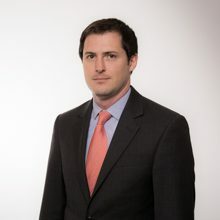 Ignacio Guaia joined LALIVE in 2011 and his main area of practice is international dispute resolution specifically international commercial arbitration and investment arbitration. He also has experience in advisory work on international commercial contracts. He has been involved in matters covering several key industry sectors, including mining, energy, sports, telecommunications, life sciences and biotechnology. Prior to joining the firm, Ignacio Guaia worked in the corporate and dispute resolution groups of Ortiz & Asociados in Buenos Aires, Argentina (2006 – 2010); during that period, he was also seconded to American Express (2009) and IBM (2010) in Buenos Aires. Before then, including during his law degree, Ignacio Guaia worked at the legal affairs departments of various companies and with law firms in Argentina, including Pérez Alati, Grondona, Benítes, Arnsten & Martínez de Hoz. Ignacio Guaia is a member of various professional associations including the International Bar Association and the Swiss Arbitration Association. He holds a Master in Law from King’s College London (2011) and a law degree from the University of Buenos Aires (2008).